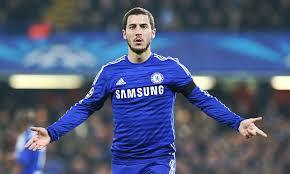 Chelsea are confident of holding onto Eden Hazard despite continued interest from Real Madrid. The Telegraph report that the Blues are hoping to offer him a new contract worth an eye-watering £300,000 a week to keep him at Stamford Bridge, though it’s understood he is happy at the club regardless. Nevertheless, it would be difficult to turn down the European champions even now he has been joined at Chelsea by brother Kylian Hazard, who was signed from Ujpest this summer. The 26-year-old is yet to start a league game this season as he recovers from an ankle injury, but he seems to be stepping up his recovery. It remains to be seen whether he’ll start in tonight’s Champions League trip to Atletico Madrid, but Antonio Conte is expecting big things of him in a competition where he’s yet to seriously make his mark. “I think last season Eden played a really important season, played very well and was very important for us in winning the Premier League,” Conte told reporters. “Last season, he showed in every game great talent, to be a really good player. A top player. The Belgian hasn’t scored in Europe since March 2015, not helped of course by Chelsea’s absence last season.